The Right Reverend Tony Robinson, the Chairman of the Council of Bishops, will join professors and knights of the realm among the distinguished people who are to be honoured in 2014 by the University of Huddersfield as they receive the title Honorary Doctor of the University at ceremonies taking place in July. Tony Robinson is the Bishop of Pontefract, but will also be the interim area Bishop of Huddersfield, temporarily occupying an all-new Church of England post, created as part of the new Diocese of Leeds. 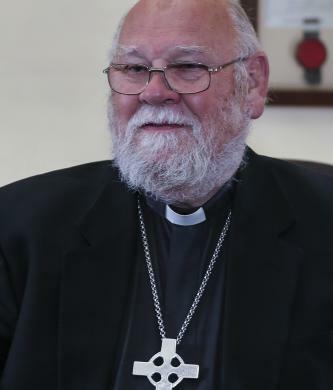 Bishop Tony is a former teacher who moved to West Yorkshire in 1997, first as Archdeacon of Pontefract and since 2002 as Bishop of Pontefract. He chairs Kirklees Faiths Forum and is co-Chair of North Kirklees Interfaith Council working with Muslims and Christians in Dewsbury and Batley. He was a founder member of Interfaith Kirklees, which works with schools to provide education and promote community cohesion, and also chairs the Wakefield Interfaith Group. Last week Bishop Tony Robinson, the Chairman of the Council of Bishops, visited Gojra in Pakistan to lay foundation stones for an interfaith clean water project. He travelled with Lay Canon of Wakefield Yaqub Masih. As well as laying the foundation stones for the water project, Bishop Tony met Christian leaders of different denominations, broadcast on TV, met the President of Pakistan, the Governor of the Punjab, and Health and Housing ministers, and preached to over 12,000 people at one church gathering. He also met with the Grand Imam of the second largest mosque in Pakistan. On his return Bishop Tony said, "The visit to Pakistan exceeded our expectations. The launch of the water project from funds raised by Christians and Muslims here in England was well received by the Christians and Muslims in Pakistan. Forty percent of deaths in Pakistan are attributed to driniking unclean water often containing dangereous amounts of arsenic. We are committed to trying to raise further funds." Bishop Tony’s diary is a unique opportunity to see and hear news of Pakistan from a different perspective. At the end of Bishop Tony’s diary are links to reports of his visit in the press in Pakistan. Read it here. It has been announced by Buckingham Palace that Her Majesty The Queen has been pleased to appoint the Reverend David Nicholson to be a Chaplain to Her Majesty. He continues as Vicar of Cudworth, in the Diocese of Wakefield. He is also a member of the Council of the Additional Curates Society. This statement from Forward in Faith explains the latest developments in the General Synod regarding the Act of Synod. 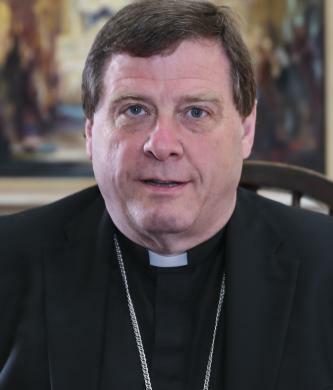 When it is eventually rescinded, it will be replaced by a new House of Bishops’ Declaration. The roles of the Provincial Episcopal Visitors will continue under the new arrangements as one of the means by which episcopal ministry is provided to parishes that pass resolutions under the Declaration.